Firstly, the stock price. As of the close of US stocks on Tuesday, Apple’s stock price was 176.98 US dollars, which was the lowest since May 3 this year. The company’s market value evaporated by 287 billion US dollars. Although it is still the world’s largest technology company, it is far from the peak of breaking through the market value of trillions of dollars, only leading the second Microsoft $60 billion. The main reason is iPhone failed to meet expectations. In addition to the iPhone, Apple’s notebook performance is not excellent, the market share dropped from 10.4% in Q3 in 2017 to 7.9% today, and has now slipped to the fifth place in the world. Apple also began to “self-rescue”, the first is to reduce the order. The Wall Street Journal reported that Apple has cut down three kind of new iPhone production orders which released in September in recent weeks. A Longbow Research analyst found that iPhone XR and XS Max were cut down 20%-30% after checking with Apple suppliers. Last week, Apple notified several suppliers to lower the production plan for the iPhone XR. In contrast, the iPhone 8 and iPhone 8 Plus, which were approved for “no innovation” in the same period last year, received an order of 25% to 30%. Just last week, Japan, Lumentum, Qorvo and AMS, four major Apple suppliers, have lowered their revenue forecasts for the next few quarters. Foxconn, Apple’s largest supplier, is also the one most affected. According to sources quoted by the Nikkei News, Foxconn originally prepared nearly 60 assembly lines for the iPhone XR, but recently only 45 were activated, and the daily output was 100,000, fewer than the original plan. 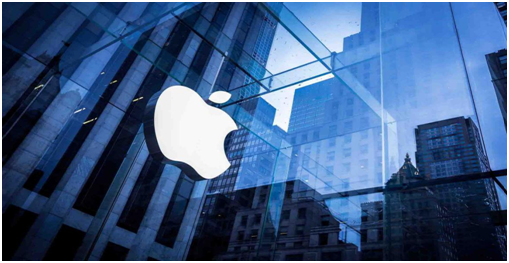 The news also mentioned that some suppliers of the Apple industry chain have notified employees of unpaid leave, mainly related to the increase in iPhone XR orders. Between September and February of this year, the estimated shipments of this phone have been reduced from 70 million to 50 million, almost reduced a third. According to the financial world, due to the drag of Apple, Hon Hai’s share price has fallen by 40% this year, which is the worst year since the 2008 financial crisis. The list of Taiwan’s richest people published by Forbes magazine on November 13th shows that Guo Taiming is still the richest man in Taiwan, but the assets of $7.3 billion have shrunk by 23% from the previous year. Since last year, Apple’s model of “use high profit to offset sales decline” has become clearer. Apple’s 2018 Q3 financial report shows that iPhone sales and service business revenues are lower than market expectations, and year-on-year growth is slowing. Ipad and Mac sales even decline, but the profit has reached a new high, mainly due to the increase in the unit price of the product. With this strategy, Apple has come up with a perfect financial performance, and the market value has broken through the trillion dollar for the first time.